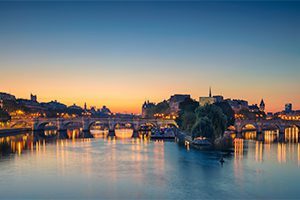 For centuries Paris has been one of the world’s most important and attractive cities. For centuries Paris has been one of the world’s most important and attractive cities. It is appreciated for the opportunities it offers for business and commerce, for study, for culture, and for entertainment; its gastronomy, haute couture, painting, literature, and intellectual community especially enjoy an enviable reputation. 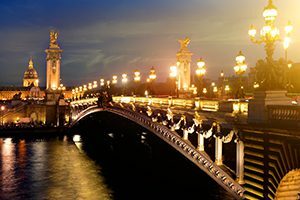 Its sobriquet “the City of Light” (“la Ville Lumière”), earned during the Enlightenment, remains appropriate, for Paris has retained its importance as a center for education and intellectual pursuits. What’s the weather like in Paris? As a general rule, March in Paris remains somewhat chilly, with temperatures hovering at around 45 degrees F on average. How to Pack for Your March Trip in the French Capital? It’s a good idea to pack clothes that you can layer in case an unusually cool or warm day sneaks up on you. You can bring light cotton shirts, shorts, skirts and pants in hopes of sun, but it’s also highly advisable to pack a few sweaters, warm socks, light gloves, a springtime scarf or two and a light coat. March can be a wet month, and Paris is well-known for its erratic and sudden downpours. Be sure to pack an umbrella that can withstand strong rain and wind. 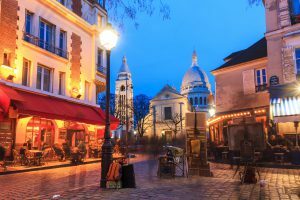 Rain during a March trip to Paris is likely, be sure to bring along a good pair of waterproof shoes that are comfortable to walk in– Paris is a city where going by foot is often the best option. Make sure to pack a good pair of waterproof shoes. Rain during a March trip to Paris is likely, and you don’t want to ruin your excursions with sloshy shoes and cold, wet socks. 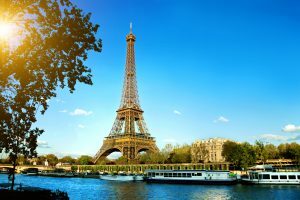 Think about packing a hat and other sun gear in case a sunny day comes along and you wish to spend time lazing in one of Paris’ best parks and gardens.